In determining whether Berkeley’s required notice violates the First Amendment, the court must decide if the statements it makes are true, false or misleading. “These statements are absolutely true,” Lessig told the judges. Whether it’s dangerous for Fletcher to carry a cellphone in his pocket is a scientific question. The Federal Communications Commission (FCC) set radio frequency radiation limits in 1996, long before Steve Jobs introduced the first iPhone and children began tucking them under their pillows at bedtime. Since then, scientists have vigorously debated the safety of cellphones. Both Olson and Lessig have insisted they would not engage in that debate. But both have done so. A simple disclosure of facts would not violate the First Amendment, but Olson argued that the Berkeley warning is not just a disclosure, because it misleads consumers. Again, Fletcher and Olson clashed. “The message is if you don’t be careful, you might exceed these guidelines,” Judge Morgan Christen said. Fletcher agreed; Olson didn’t. “If you do exceed the guidelines, the cellphone is still safe,” Olson replied. 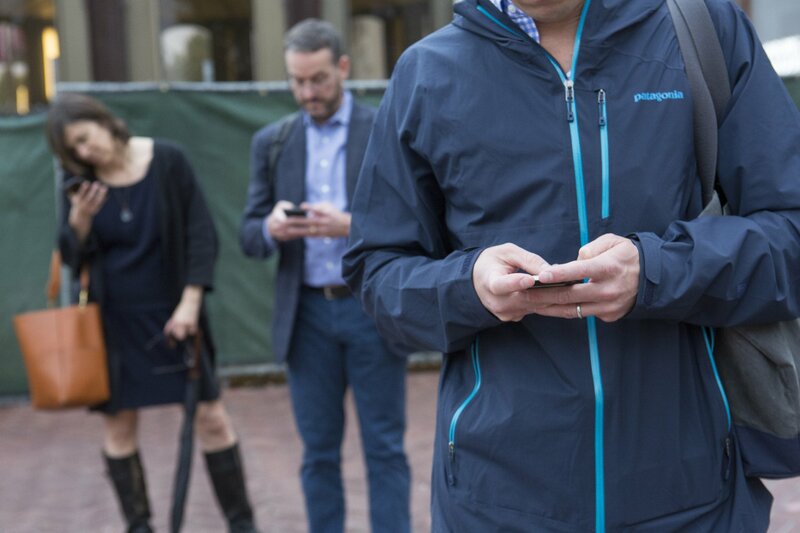 In a telephone survey, Berkeley found that 70 percent of registered voters were not familiar with FCC-mandated safety tests—which assumed people would carry phones at a short distance from their bodies. The survey convinced the City Council to require the warning notices. Lessig pointed the judges to the FCC’s announcement three years ago that it would reassess cellphone radiation safety standards. It has collected about 900 comments on the issue but taken no other action. “The FCC would not be asking for comments about whether there was a health hazard if it had concluded that there was no possible way that a cellphone held against the body could constitute any health hazard,” Lessig said. The government has assumed that cellphone radio frequencies pose a potential danger only when held closely enough to human tissue to heat it. The only perceived problem was that a phone user might get burned. Recently, though, a $25 million U.S. government National Toxicology Program study found that male rats exposed to radio-frequency radiation like that emitted by cellphones developed low incidences of two types of tumors—malignant gliomas in the brain and schwannomas of the heart. In 2011, World Health Organization cancer experts labeled cellphones “possibly carcinogenic.” Many U.S. scientists dismissed the label as overreach, but the new rat study renewed some public health experts’ concerns that cellphone radiation could promote tumor growth. All parties agree on one thing: Whether Berkeley has a right to mandate warnings about cellphone safety turns on a question of free speech, not science. Many others outside the courtroom would likely disagree.